The CEO of Wix has posted a response on their blog. I’ll also try to post my response it to the comments there. Miriam Schwab also has a very good response. It’s not a fight: the claim is that the Wix mobile apps distribute GPL code and aren’t themselves GPL, so they violate the license. First, you say we have been taking from the open source community without giving back, well, of course, that isn’t true. Here is a list of 224 projects on our public GitHub page, and as you can see they are all dated before your post. We have not checked if WordPress is using them, but you are more than welcome to do so, some of them are pretty good. Very glad your company has projects on GitHub! Thank you for the offer to use them; if we do, we’ll make sure to follow the license you’ve put on the code very carefully. Releasing other open source projects doesn’t mean that you can violate the license of the editor code you distributed in your mobile apps. To repeat my earlier points: since you distributed GPL code with your apps, the entire apps need to be released at GPL, not just your modifications to that one library. If you were to release the entire source code of the apps under GPL that would bring you back into compliance with the license you violated. I think you’re saying you will do that here, but can you clarify? When should we look for the app code to be released, and where? That would resolve this issue completely. Next, you talk about the Wix App being stolen from WordPress. There are more than 3 million lines of code in the Wix application, notably the hotels/blogs/chat/eCommerce/scheduling/booking is all our code. I said the app includes stolen code. It doesn’t matter if it’s 30 lines or 30 million lines: because it includes GPL code and you distributed the app, the entire thing needs to be GPL. If you release the entire app’s code, as I think you said you would, then that resolves the license violation. Yes, we did use the WordPress open source library for a minor part of the application (that is the concept of open source right? ), and everything we improved there or modified, we submitted back as open source, see here in this link – you should check it out, pretty cool way of using it on mobile native. I really think you guys can use it with your app (and it is open source, so you are welcome to use it for free). And, by the way, the part that we used was in fact developed by another and modified by you. Thank you for admitting you used the code and not trying to hide it. The issue isn’t the changes you made, it’s that including the editor means you need to submit the entire app as open source, which you have not yet — it’s completely proprietary. If you want to read the account from Tal Kol, one of the leading engineers on this project, here it is. He was really happy to share his side of the story. I have seen it, and it already has a number of good comments on it, including this one: “Can you address this point made in Matt’s post: ‘This explicitly contravenes the GPL, which requires attribution and a corresponding GPL license on whatever you release publicly built on top of GPL code’.” It appears you and Tal might share a misunderstanding of how the GPL works — software licensing can be tricky and many people make honest mistakes. (If you want to get into serious detail, this comment lays the licensing requirements out clearly.) It is easy to rectify this one: release your apps as open source under the GPL. Now, what is this thing about us stealing your branding? Our product was always called Wix and our website Wix.com, we never borrowed from your marketing or brand. Although that is still in Google, the page it links to now mysteriously returns a 404 error, which you may want to look into. In fact, if I remember correctly, until recently the Automattic home page was all about blogs and only recently it has become “websites.” Also, your business model changed to almost exactly the one we had for years. Can it be that you guys are borrowing from us? If so, again, you are welcome to it. The Automattic home page has been a series of haiku about our products since 2009, pretty much unchanged — I think you mean the WordPress.com home page here. WordPress has been used for creating websites, not just blogs, since our 1.5 release in 2005 added themes and pages. In my 2014 State of the Word address I talked about how 87% of WordPress sites use it as a CMS. We regularly test dozens of variations of the WP.com homepage and some of them definitely emphasize website creation. I will say we look to Wix, Weebly, and Squarespace as innovators in the space with products that reach many small businesses, and Wix especially should be commended for its success and growth as a public company. If you believe that we need to give you credit, that you deserve credit, I must say, absolutely yes. You guys deserve a lot of credit, but not because of a few lines of source code, you deserve credit because you guys have been making the internet dramatically better, and for that we at Wix are big fans. We love what you have been trying to do, and are working very hard to add our own contribution to make the internet better. Thank you very much, that is kind. I do think there are a lot of values we share in common and would love to see this one issue resolved. If you need source code that we have, and we have not yet released, then, most likely we will be happy to share, you only need to ask. We share your belief that making the internet better, is best for everyone. Finally, during the last couple of years, I reached out a couple of times trying to meet with you. Could I do that again here? I believe in friendly competition, and as much fun as it is to chat over the blogosphere, maybe we can also do it over a cup of coffee? Once this is resolved I’d be happy to meet up. I believe when we exchanged emails in 2014 there was trouble finding overlap in our travel schedules. I hope the above clarifies where we think Wix made a mistake, and how to fix it. The complaint is that their code is not open source, but you link to their github fork, which is open source and has mentions of it being a modified version of the WP Editor. . .What am I missing? When you embed and use GPL code, you have to release the entire thing as GPL. (That’s why it’s called a viral license.) So they need to release not just their changes to the editor, but the entire app that was distributed. So, does that mean any SaaS built on top of WP that uses any JS from WP also needs to release their entire source code? Any JS in a WP site/SaaS is distributed to client machines in the same way React Native mobile apps (like Wix) are. . . so does that mean any SaaS that is built on WP and sends a single line of WP GPL licensed JS to the client (distributes code) means their entire SaaS platform is now “viral” because they’re distributing GPL JS which is part of their larger platform? Or would only the JS of their platform be “viral” and the server side of their SaaS platforms be non-viral? Just curious how this impacts folks currently using WP in various ways. Actually, the GPL only affects code that is redistributed, not hosted. That’s why the Affero GPL was introduced. As long as Wix doesn’t redistribute Wix, they are free to use any GPL code without it “infecting” their proprietary code. This is all about the mobile apps, which is definitely downloaded and distributed in every interpretation of the GPL. In fact, it seems that they are (on purpose or not, I don’t know) mistaking the GPL and the LGPL. I cannot believe it that such a well known name as Wix has done such a stupid thing. They thought that nobody will see it? The editor in the WordPress mobile app is currently one of the best I’ve ever seen & used, so it’s a no-brainer to use it as a jumping off point. On the surface, it doesn’t seem right, but it doesn’t seem like they tried to do wrong either. Our friend Tom McFarlin wrote about GPL attribution in May (https://tommcfarlin.com/give-proper-gpl-attribution/) — I’m curious what the Wix folks should have done (or can do now) to make this right. The GPL has been thoroughly tested, and it stands up just fine in court. The thing that makes it so powerful is that the GPL is the only thing that gives you the right to modify and redistribute GPL code. If you manage to knock the license down in court, you have just convicted yourself of copyright infringement. Well said! Open source it or go home. In open source (and WordPress) we trust. For a large concern, this is un-thoughtful and sort of unbelievable. Build your app on your own? I honestly can’t believe they knicked it. Crazy find, like how would you know, WP people don’t have WIX (or other) platforms. Interesting thought here as to awareness, but still don’t want them, so going to stand with you on this one. Good on you for taking this approach, Matt. Rather than asking them to take down their app, or humiliating them, you’ve taken the approach of upholding the GPL above all else. You could have just as easily told them to do, well, many other things. Thanks for this kind of leadership. The Open source approach benefits so many, even companies like Wix that don’t care to make the attribution. I hope they’ll wise up. https://github.com/wix/react-native-wordpress-editor contains WordPress-Editor-Android and WordPress-Editor-IOS as git submodules – unmodified, with LICENSE, README and contributor list attached. They are used as libraries. Since the app itself it MIT licensed which is GPL compatible I fail to see where the problem is. Am I misunderstanding GPL somehow? Disclaimer: I’m a Wix employee working on (backend) unrelated projects, I have no official stance or information. The wix mobile application uses a GPL component underneath thus has to be made available as a derived work. Yes, misunderstanding a little, but this stuff can be complicated so happy to explain. The key thing to understand is that being “compatible” with the GPL means that you can take MIT licensed code and use it in a project released under the GPL if you want to. The MIT license allows for this, but the reverse is not true. The GPL does not allow you to take GPL code and change the license to MIT, and it definitely doesn’t allow you to take open GPL code and make it proprietary (like Wix did). So when Wix used our GPL iOS editor in their app, they needed to release the editor — and their whole Wix mobile app — under GPL in order to comply with the license. Instead, they released only a version of the editor, and released it under an MIT license. The rest of the app was kept closed. This may not seem like a big deal, but there’s a huge difference between the MIT and GPL licenses in terms of the rights that they give to users of the code. A big one is the right to see the source code that runs the app, which is a baked in requirement of the GPL, but not of the MIT license. WordPress chose the GPL license for its code, apps, for a very specific reason: to make sure that the code and all improvements on it would always be shared back to the community, and that the obligation to share and share alike would be baked into all of this new code. Stripping that license out completely, or even changing it to another open source license that doesn’t guarantee the same freedoms, takes a lot away from users of the code, not to mention all of the people who wrote it. You’d probably be in the clear if you had used just the original editor we started with (ZSSRichTextEditor, MIT licensed). Instead, Wix took our version of the editor which has 1000+ original commits on top of the original MIT editor, that took more than a year to write. We improved it. A lot. And Wix took those improvements, used them in their app… but then stripped out all of the important rights that they’re not legally allowed to take away. We’re just asking Wix to fix their mistake. Release the Wix Mobile App under a GPL license, and put the source code up on GitHub. That would work if it was LGPL but it is GPL, so, no. You should talk to a lawyer. Also, even if you comply and make all of your derivative works GPL as you’re required to, you’re going to have problems with Apple as the GPL is incompatible with their App Store. If I understand Apple’s horribleness correctly, you’ll actually need to negotiate a non-GPL license (or a GPL-plus-Apple-exception) from Automattic if you want to ship their GPL code to iOS users. Didn’t realise the GPL was incompatible with Apple’s iOS App Store. Out of interest, how does this affect the official WordPress iOS app, which is listed on the App Store? Thanks for sharing this Matt. Code thieves don’t help anyone, including themselves. Thank you for saying this! I’ve felt the same familiarity. I’ve had some of my older GPL work stolen, and issued to people under a different license for a small cost. It was disheartening. I hope they make it right! Thank you for your commitment to Open Source. Agree that if Wix wants to be part of the open-source world, they should honor the GPL. It will be interesting to see where this goes. Remember, imitation (or just nicking the code) is the most sincere form of flattery. Doesn’t Automattic have its legal team? I find this dishonest, despicable, and offensive. As an attorney, I would argue in my complaint against Wix that this doesn’t just affect WordPress but the Open Source community at large. I would much rather they just release their app as GPL rather than have to get into a legal fight. It’s definitely better to help copyright violators into compliance than immediately taking them to court. Does it make sense to approach the app stores that are distributing the code that’s in violation? People make honest mistakes, and licenses can be confusing. I’m giving Wix the benefit of the doubt here. @Matt, obviously, you haven’t read Wix’s response. I don’t understand how you can characterize what Wix did as an honest mistake. Abrahami’s response makes it beyond shadow of doubt that Wix’s action was willful, knowing, and wanton. Wow, I don’t even work for Automattic and I got angry reading this. You linked the wrong repo. The second link should be https://github.com/wix/WordPress-Editor-iOS, what you linked is not a fork. Loud and clear. Respect the GPL. End of story. Thank you for pointing this out Matt. Avishai did not respond to the core of the allegation. Describing a piece of software as a “library” does not mean you can do whatever you want with it and dodge your obligations under the license. If Avishai does not understand the GPL, he and his team were naive and need to learn their obligations. His open letter implies they know perfectly well and were hoping they wouldn’t get caught. Don’t include me in your “open source community” bit. File suit, motion for discovery, get the truth instead of inferring. For a large number of philosophical and legal reasons my own code (100+ projects to date) avoid the GPL like the plague. The GPL has had virtually no impact on the development of WordPress, as there are many OSI-approved licenses available. User base (popularity), the low barrier of PHP (ubiquity), on the other hand, would have had a much more significant impact. The signs are very clear when you look at the apps, I wouldn’t have posted if there was any doubt they were using the code. I’m not saying you or anyone has to like the GPL, but if you use the code you have to abide by the license. Like you say, there are many other non-copyleft licenses available, however this code was GPL. The GPL has had a fantastic impact on the development of WordPress, and that’s why we do our best to protect it. I don’t think going straight to legal is a good approach, especially when it’s possible this could have been a mistake, and it’s easy for them to resolve to everyone’s satisfaction by open sourcing their app. As far as I know, that’s GPL compliant, right? To my knowledge GPL doesn’t require hosting on Github or any other public repo, just releasing source code when asked for it? We did ask, in the above post. 🙂 It’s not clear to me what Avishai meant there, but hopefully you’re correct. Especially since you have no case. at all. in fact, it might very well be that they now have a strong libel case against you. We tend to throw blames rather quickly in the foss community. Neither of those responses address the core issue or espouse a plan to come into compliance with the license. Hell, the CEO is asking Matt to ask him for their source code – which Matt already did (above)! So basically their CEO admits they violate the GPL, and shows all the signs he does not understand GPL and or/copyright law. It is very easy you use GPL in you app === you have to publish all of your code. It doesn’t matter if it was 2 line or 2 ,million lines. So if you build a lib that has a dependency licensed under GPL, publish you lib under MIT and then use it do build a commercial software, its not ok? 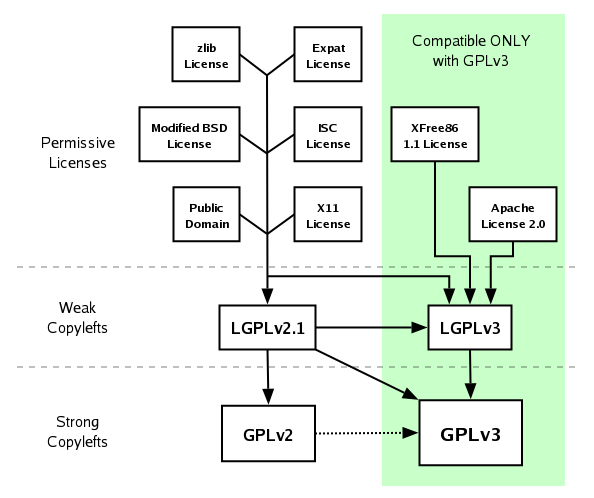 Commercial software is fine, but your license needs to be GPL. There is nuance, but that’s the general gist. Wix has always made a bad product and WordPress is light years ahead. The very idea of a functional, serviceable one-click website built from a mobile app is nice fiction, appropriate for the age of Musk and Trump. Even one who gets the intricacies of the working internet as little I do ‘gets’ that. But you sound genuinely alarmed by this encroachment, and Avishai’s disingenuous open letter gives us to understand why. They are out to get you. But please don’t worry Matt. We, the digital workers, are with you, my man. Because you build with love. 92 million registered users of Wix with little churn. Does that sound like a bad product? Come on, stop being cry babies, everyone. 1) They used the code at the WordPress dev team’s suggestion and explicit consent. 2) They released their modified sources as required by the GPL. 3) They gave full attribution. 4) They’re using the code as an external library, so NO, they don’t actually need to relicence their entire app as GPL. 4) They did all of this long before Matt posted this ugly inflammatory article. They’ve done nothing wrong, legally or ethically. I think Matt’s made a fool of himself. Let’s see if he’s humble enough to post a public apology, after this (false) public shaming. You seem to be pretty quick to judge. Licenses are hard to understand, and both Wix’s response and yours illustrate that fact perfectly. When you use a library licensed GPL, your app becomes “infected” with GPL too. Maybe you confused it with LGPL (which is more popular among libraries). You’ll want to look up the difference between GPL and LGPL: if WordPress was LGPL, what you say here would work indeed. But it’s GPL. The GPL says that “any extended version of the program must be released under the GPL if it is released at all “. Wix CEO needs to visit http://www.gnu.org and read about what is GPL. Also his open letter has quite a few logical mistakes. For instance Matt mentioned they borrowed the name WordPress for company name , which is totally true. The company name was Wixpress Ltd, registered in Israel. He didn’t say it’s the brand name like the Wix CEO argued about . Did you reach out to them before posting this? Their responses seem to be quite surprised, apologetic, and invitational for a sit-down. Given the context it seemed like a public discussion was the best way to get things resolved as soon as possible, with neither side having to get legal involved. I also think it’s important for the broader tech community to understand how open source works (or doesn’t) better. That’s a fair and more than reasonable approach. Given the time that’s passed between my question and what has transpired, I’m with you all the way in how you brought this to light. I’ve said this to you a thousand times already both privately and publicly and will say it again: you’re a man of integrity and day by day it continues to show up without fail. So they’re claiming proprietary license to work that contains WP code which they cannot under the terms of the GPL. Points to you Lisa because that is the first time it was explained and as Matt said, ” it’s important for the broader tech community to understand how open source works”. His response wasn’t even a response, more like a walk around. Thanks for adding these, Matt. Isn’t your GPL wrapper a mere aggregation? if it is, then they don’t need to distribute their whole source code, only your modified wrapper, which as I understand, they had. I see. so they actually might have committed two wrongs. But had they released back only your modified wrapped editor, under the GPL license, would they still need to release their entire mobile app source code? can’t it be claimed that the wrapper is a “mere aggregation” and thus does not enforce the release of the entire software? Benjamin, it’s not a “mere aggregation” when GPL’d code is linked into another piece of software. I’m not sure why they should even put up a fight and/or argument. Their core product isn’t a mobile editor app. It feels that you Matt are using a sledgehammer in this issue, even if a smaller tool could have been more appropriate. GPL does not require attributions, so Wix has no need to inform their customers and end users that they have been using code and other stuff developed for WordPress. GPL requires Wix to provide the source code for their mobile app, if they have bundled GPL code into the app binary itself. If they have implemented a stand-alone binary that contains all GPL code and communicate with that using any intra-process communication facility available, they need to provide source code for that process only. Also if the Wix uses WP code inside a web view, it might be debatable whether the WP components are incorporated in the binary app itself, as they might be run inside another process created by the mobile operating system. GLP v2 does not suit very well to modern era paradigms, as software is no longer compiled into monolithic binary executables. Further, the source code does not need to be put publicly available. It is enough that Wix provides the source code to the users of the binary, and I guess that the people requesting the source code needs to provide some proof that he is a user of the software. So, in my mind there are quite number of open questions. Some of them are splitting the hairs, but I wouldn’t call this 100% bulletproof yet. And this brings us to my point: You Matt are using very strong language about stealing code, etc., and a lot of media sites are echoing this sentiment. This might be a defamation – and against your direct competitor. There are a number of ways Wix could come into compliance with the GPL, their CEO’s post seems to indicate they’re going to publish the source code for the entire app, I’m guessing to Github. That would resolve everything, and I would applaud them for doing so. They wouldn’t be considering changing anything if Matt was wrong and lets not get too sensitive about “strong language”. The fact that Matt is right gives him some grounds to use strong language about the situation. At no time did Matt use strong language against an individual, a service or a product. He used strong language about a matter of license. I would say mentioning “defamation” is the strongest language I’ve seen while reading this entire issue. I just can’t see how Matt could be expected to handle the matter without appearing caring or even passionate. Thanks Matt to support free software. You have a very nice, concise and clear way to explain. Regards! I’m curious why Automattic changed the licence for the project GPL to MIT in 2014, crediting Neil Stoker with copyright in the process, only to change the licence back to GPL (and removing the copyright notice) about a year later in 2015. The actual changes to the licence was clearly intentional – references were changed in both the README and LICENCE file each time and commented on in the commit log. No other code was changed at the same time. Did the repo at some point contain code by Neil Stoker but wasn’t attributed to him and someone went to correct that mistake? If so, did that code get removed or just did someone forget about it? If not why attribute copyright to him and change the licence from GPL to MIT in 2014? It’s easy to leave in copyright notices by mistake when copy+pasting a licence you want to use – I’ve certainly done that myself – so it could just be a case of there was a decision to release it as MIT instead of GPL and at some point that decision was reversed and the attribution to Neil was just an error. Issues with Wix aside, it would be worth folks checking on this to make sure any due attribution to others has not been removed and that the current licence isn’t in violation of the previous one. Well that’s not really true and the comment you linked to isn’t terribly relevant. If you (as an organisation or individual) also own the copyright to the code – and either get any other copyright holders to agree, or remove their code – then you can change the licence at any time. As almost all of the 13 contributors to the repo are Automattic employees and copyright was assigned to Automattic then changing the licence is quite feasible in this case. What it doesn’t explain is why Automattic changed it from GPL to MIT and back to GPL again, nor does it explain the change in copyright assignment. You can’t just change the license willy nilly, it depends on where the code came from. This code was MIT, and then our 1,000+ changes and commits to it were GPL, which you can do. Wix as a listed company on NASDAQ should not get away with underhand behaviour. What about all those websites that are hosted on WIX. Can you as a web designer or Company trust these guy’s with your information? Open question and very troublesome. Thanks for being the ‘bad guy’ on this 🙂 Someone has to do it. The GPL and even LGPL are incompatible with distribution on the AppStore (and the Mac App Store). It’s not Apple’s fault but just not possible to reconcile downloading a signed unmodifiable app with these licenses. So releasing the source code is a moot point anyway and this app should be removed from the App Store. If you contact Apple I’m sure they will do it. This has got me thinking about the “paid extensions” business model for some WordPress plugin shops (WooCommerce included, which is now an Automattic property). Namely, if the GPL requires the full source code be available for any derivative works, does this mean that all extensions to any WordPress plugin (or the WP plugin itself) should have their source code freely available? On first glance through WooCommerce’s extension page (https://woocommerce.com/product-category/woocommerce-extensions/) it seems that many of them don’t have source code available anywhere that’s not behind a paywall. Since the answer to this will apply to many projects I’m involved with, I’m keen on knowing how the GPL is applied to the above scenario. Open source does not mean that it has to be free. You can sell your product, but you have to provide the full source code to the buyer. Which you do, when you send them the raw PHP code. The GPL basically says that if you’re distributing the program to someone, they must have access to the source code as well. However, you’re certainly able to restrict who the program is distributed to — for example, saying that you can only download the source code and program if you’ve paid for it. That being said, the GPL guarantees that once they have it, they can change and redistribute it to their heart’s content — so long as they leave the GPL in place on the whole package. The other benefit of buying from the actual author instead of some GPL-based reseller is that you get updates and support direct from the author and the folks that know the software best. If you break something or need an enhancement, you can work directly with them to get a fix that suits your needs — and it’ll often take them all of five minutes to write if it’s a simple fix, versus any other provider needing to spend hours getting up to speed to even understand what they’d need to do! Anywho, charging for access to the software, updates, and support is typically the business model of most folks that sell GPL software in the WordPress space. It also incentivizes them to continue building and supporting the products — otherwise the users would simply stop paying for it, and use their existing copy of the software, or one they got from a friend or reseller, as the benefit to buying from the author would diminish. Does that make sense? I tend to get a bit rambly, but happy to explain anything I’ve missed. It makes sense and that’s certainly how I’ve viewed (and practiced) this when applying to the “paid extension” business model. There still seems to be a bit of a blurry line in practice though because from the arguments I’ve seen put forward in Ma.tt’s post and others defending the GPL’s application here, there have been repeated calls that not only should WIX be licensing their mobile app as GPL, but they should also be making the source code available on GitHub. This seems contrary to the explanation you are giving here (which again is how I’ve been doing operating too with my products) which is that distribution behind a paywall still satisfies the needs of GPL. I certainly HOPE that the explanation you give is valid. However, IF it is valid, then there seems to be some inconsistency being applied here to Wix’s mobile app. While I agree they definitely should have licensed their product as GPL, does that automatically mean they MUST publish their source code on GitHub? Right! So, for the Wix example here, they’d be totally justified if they somehow limited distribution of the source code to only people that have access to the app (by my understanding) — the requirement is just that folks who get the software have access to the source code behind it. They don’t need to set it up on GitHub, they could provide a link in the app to download the source code, or email a copy of the source or a link to download or repository url or whatever, the key issue is that folks who receive the software also have access to the source code. In practice, most free apps just post their source code publicly — on GitHub or elsewhere — as there’s no need to arbitrarily restrict who has access to it, when you can just download the compiled version from the app store. So, if Wix wanted to be compliant but really wanted to keep things out of public eye for whatever reason, they theoretically could put a $1,000,000 price tag on their Source code and change the license to GPL and the issue would be resolved? Then whoever wants to pay $1,000,000 can have it and do what they want with it, including release it on Github or re-sell it? The ask is to put it on Github, but to the “premium plugins” point, it doesn’t HAVE to be hosted publicly to be GPL compliant, and can have whatever price they want to put on it, right? Mmmm, not really. The source code has to be freely available to everyone that has the software. If you want a paywall, it has to treat the software and source as a unit — you can’t distribute the software, but then charge for the source code. In all honesty, the GPL is written pretty understandably, as far as software licenses go — I’d recommend giving it a read for anyone that hasn’t yet read it directly. Ah, ok. Makes sense. Thanks for clarifying. . .as far as applications/sites that have a mix of distributed and non-distributed code, does the “viral” nature of the GPL only affect the distributed portion of the larger app, even if the distributed portion and non-distributed portions are part of the same codebase? My understanding is only the distributed portion would be “infected”? I’m not sure exactly if I follow, but let’s put it in terms of Wix. Again, I am not a Lawyer, this is just my understanding. Wix is a combination of a SaaS hosting platform and a downloadable smartphone app. The hosted main Wix.com service can use back-end GPL libraries all they want — that’s the freedom the GPL grants them. But they’re not distributing their server software, so there’s noone that they would be required to provide access to their source code. Their mobile app, however, which is distributed, would need to offer its source to its users. As to whether the software on their servers gets ‘infected’ by the GPL — it’s really a moot point. The GPL states that if it ‘infects’ a distributed software package, the other non-GPL parts of that package can be redistributed seperately without the GPL. That is, the ‘infection’ doesn’t own the code forever, merely so long as it’s built on other code that is GPL. I’m not really clear why the first step in resolving this is being conducted in public – surely it would be far more professional and decent to contact Wix privately at first to inform them of your concerns, wait for their response, and give them the chance to give their side of the story and/or fix things? If that does not work out, then go public, but not as a first resort. No. You can’t take a GPL license and then change it to MIT. =.= Wrong on all fronts. It is possible to actually change a licence on a project from GLP to MIT – and Automattic in fact did it on their own repo for this project – but only if you have permission from all copyright holders. (a) if you (meaning an individual or organisation) are the sole copyright on the codebase or (b) if you can get all the copyright holders to agree or (c) if you are able to remove any contributions from copyright holders who do not agree. Hasan, the change was *to* GPL. Wix’s work was derived from GPL code, so this change is a positive thing. They have examined the provenance of the code and clarified the licensing. The problem is the GPL obliges them to release the code for the entire app, not just the editor component. From their comments I have seen so far, it appears they are prevaricating on that. I’m not a programmer but tinker with code regularly. I have to admit I have learnt a lot about exactly what GPL means from this post and the comments, so thank you Matt et al. This is a priceless masterclass for students of law/business/pr. Definitely an issue to track and see if it is ultimately resolved. Very, very interesting. A quote comes to mind: “I’ll never start a legal battle, but I’ll always finish one.” WP-4-Life!